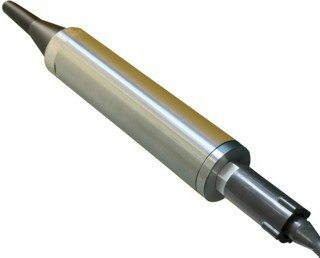 Spherical Hydrophones | Sensor Technology Ltd. Spherical Hydrophones | Sensor Technology Ltd.
Spherical hydrophones are an elegant solution for achieving a fully omnidirectional receiving response. Other receiver designs, which generally rely on either a piezoelectric cylinder or disc, have a beam pattern that changes with frequency. At higher frequencies their beam narrows. However, spherical hydrophones provide a fully omnidirectional response regardless of frequency. This is their primary advantage. Spheres are also inherently strong. As a result, spherical hydrophones are robust. They have high depth ratings, often exceeding several thousand metres. Additionally, their rugged quality is an advantage during handling and deployment. Piezoelectric spheres are actually an assembly of two hemispheres. Whether they are molded in a rough hemispherical shape to start, or cut directly from a block, they are generally finished on a CNC machine. 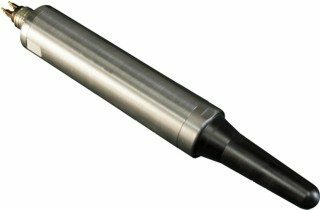 The machining ensures tight tolerances and a smooth surface finish. It also adds an expense to the production process. So, producing a piezoelectric sphere requires two, relatively expensive ceramic hemispheres and a high precision assembly process. As a result, spherical hydrophones are generally a more expensive design option. Spherical hydrophones often have a shape that hints at the spherical sensor within, though this is not always the case. A hydrophone with a cylindrical body and a rounded tip (as illustrated above) may contain a sphere. However, it could contain a cylindrical sensor. Rounded ends are common: they simplify the molding process. So, the outer shape doesn’t necessarily indicate the geometry of the piezoelectric sensor within. Be sure to consult product specifications or talk to the manufacturer. The book “Transducers and Arrays for Underwater Sound” (John L. Butler, Charles H. Sherman) provides a brief, theoretical comparison of a spherical hydrophone and a cylindrical hydrophone of comparable geometry. In the example provided, the cylinder height and diameter are equal to the diameter of the sphere, and both sensors have the same wall thickness. A portion of the discussion can be read here. It’s important to note that variations in the piezoelectric ceramic electrode pattern and in end cap design can significantly improve the receive sensitivity of cylindrical hydrophone. To be practical, there are too many design variables to accurately summarize a comparison of the receive sensitivities of the two hydrophone designs. However, the wider bandwidth of spherical hydrophones over cylindrical hydrophones is a useful generalization. Of course, the primary advantage of the spherical sensor remains the omnidirectional response that is independent of frequency. 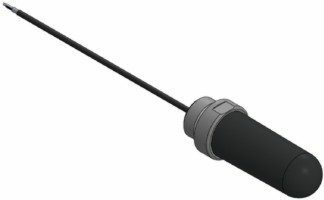 Sensor Technology Ltd. offers a line of spherical hydrophones that includes models with and without an integrated preamp. You can explore a few of our existing designs here. Contact us to discuss other models or a custom design made specifically for your application.